You can imagine my surprise. Over the years I have encountered threats and suits, but I had never had trouble posting over such a vague “concern” and obviously worried about what it was that WordPress had concerns about. The post in question was a 2009 post containing information that is widely available on the web, so it seemed more important for me to continue posting and I offered to remove the material, thinking they would do it. I also noted that the material is widely available, inclusively in other wordpress blogs. I also told them that I disagreed with the procedure of stopping me from posting first and later asking me to remove the material. They were basically blocking me from posting without me having any alternative. Of course, the problem is that I still did not know what the “request” was, since the precise “information” that was forbidden in the Terms of Service was never specified. Since I did not know the specific material, I went ahead and deleted the post, which was from 2009. I am, of course, deeply disturbed by all this. I have simply met forces beyond my control. Someone can go to WordPress and complain and without any context, my site can be blocked if I don’t agree to remove the material. It seems I have few rights, unless I want to get into a long-winded fight, while I am unable to post, at a time that it seems very important to post about what is going on in Venezuela. Even more ominous, it seems as if bloggers have little power to fight this, as blog sites are more concerned with not incurring in costs associated with defending the right to say things, than allowing for the truth to be told. The case involved, as I said, is irrelevant to current Venezuela, but this leaves a very bitter taste in my mouth. because there are forces out there that are more powerful than those that speak and defend the truth, and it is difficult for us to defend ourselves. NOTE ADDED: Out of the blue wordpress reached out to me apologizing for not being specific and pointing out the material which violated the Terms of Service and letting me know that I can keep the rest of the post up. I will do so as soon I can reconstruct it as I am traveling. The post was made on Dec. 17th. 2009 for those interested. I can only worry about the decision by Venezuela’s President Nicolas Maduro to declare a State of Emergency in five municipalities of Tachira State, a state that borders with Colombia. To begin with, the action that originated it, the non-deadly shooting of some military personnel carrying out an anti-smuggling operation in that State, is certainly not the most serious incident either near the border, nor in Venezuela, to justify decreeing a State of Emergency. -Neither home nor your private communications can be intervened without a judicial order to do so. -You can move freely and with your property around the country and leave the country as you wish. -You can gather publicly and privately for legal purposes. -You have the right to protest peacefully. -You have the freedom to devote yourself to the private economic activity of your choice. Now, while Governor El Aissami said that Human Rights would be preserved, suspending all of these article of the Constitution constitutes a violation of democratic principles and it is hard to imagine how these articles can be suspended and any action taken without the violation of Human Rights. If your home is invaded, if your communications are violated, if you can not gather with others or protest and if you are not allowed to carry out your daily business, your human rights are being abused and violated. No democracy can afford to suspend all or any of these rights guaranteed by the Venezuelan Constitution. But even more importantly, how is it that an incident like the one that caused this leads the Government to suspend all of these guarantees, but, for example, the death of 30-40 people, including cops in clashes in Caracas’ Cota 905 do not require the same reaction? The answer is simple: Maduro could care less about the incident, he was just looking for an excuse to create an incident with Colombia, given that the clash with Guyana did little or nothing to increase his popularity. In fact, Maduro made some very incendiary statements about the Colombians that are coming to Venezuela, at a time that such a flow is minimal, given that economic conditions on this side of the border are so unattractive. 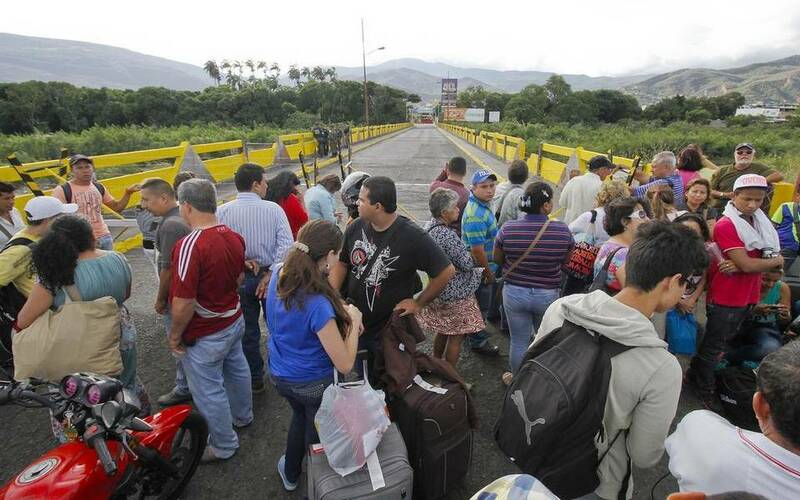 In fact, as I described in my previous post, the reverse is true, for the first time in a long time, the flow is in the opposite direction, as Colombians with Venezuelan papers are flooding the border area as they flee scarcity and hyperinflation. And the worry is why Maduro has decided to create this artificial crisis at this time. It is obvious that he is doing it for electoral purposes, Chávez did it in his time. But how far is he willing to take the conflict with his former new best friend Santos? And even more worrisome, if Maduro is willing to do this 100 days before the parliamentary election, does he have a plan to extend this State of emergency as he wishes in order to gain popularity or limit the ability of the opposition to mobilize? The Government’s popularity is down, they can probably limit the number of Deputies of the opposition to a simple majority, but with inflation accelerating, Maduro may be ready to step over the line if his popularity falls further. Chávez used to say that it was only in the Fourth Republic that rights were suspended, but here is his anointed successor doing precisely that, a clear sign that all bets are off going forward. Meanwhile the opposition is incredibly quiet, as if Tachira was a far away place, rather than an opposition stronghold. Why aren’t opposition leaders present in Tachira provoking the Government or helping to protect Venezuelans and Colombians and Colombian/Venezuelans whose rights are being abused? Is the MUD going to limit itself to issuing bland statements that no media broadcasts? Is anybody going to question what it is that provoked the State of Emergency which state media justifies rather easily as paramilitary attacks on Venezuela’s Armed Forces? I have no answers for the MUD’s passivity. This is a golden opportunity to show the country and the world the fascism and abuses of the Maduro Government. If nothing is done to slow down the Government in its attempt to escalate the conflict with Colombia, the Maduro administration may create a conflict that would give it an excuse to postpone the election if they deem it necessary. And as usual its equally undemocratic friends around Latin America will blame the opposition and/or Colombia for it. I just came back to Caracas and my conclusion is simple: Things changed so much in five weeks, that everything seems to be happening at a faster pace, prices going up, scarcity at all-time high levels, people fed up, conflicts growing within the Government, violence increasing and Maduro focused on his war on the “Economic War” which all it does is make him the most popular Chavista, but not necessarily very popular. But the two most significant factors are the rate at which prices are moving up (previous post) and the ease with which angry mobs (above) have decided to loot and riot at the smallest excuse. Yes, the problem is the Government controls the media and few people see what is going on, but the looting is taking place in traditional Chavista strongholds. And they don’t occur because people are fed up of lining up to get something, they take place because people are fed up of standing in line and getting nothing: Neither bread, nor Harina Pan, nor diapers, nor contraceptives. It used to be a moment of triumph to find something, now the moments of victory are few and far between. And every day, there is a new item that can´t be found, last week, as I came back it was bread and toothpaste. Great for my diet, no sandwiches for the Devil! 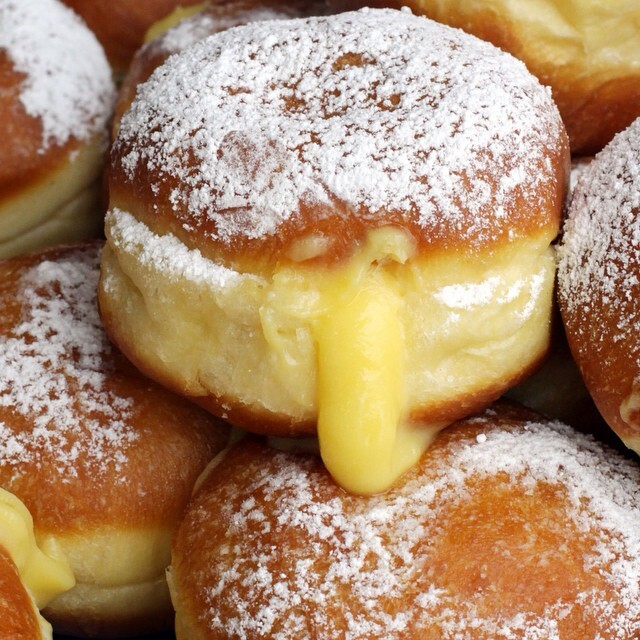 Nor Cachitos, nor bombas, nor palmeras. We are talking serious scarcity here! Like there are also no Bills to pay things for. Despite an 80% increase in monetary liquidity (M2), the largest Bill is still Bs. 100, US$ 15.9 at the official rate, 50 cents at the Simadi official rate, but a scant 14 cents at the parallel rate. To say nothing of the fact that when you call abroad you have to choose your carrier, as most have stopped carrying calls to less “popular”countries, in order to make it less noticeable that they are not paying their counterparts. That is why with a carrier I use, Switzerland is unreachable, while Spain and the US are still connected. And people know who to blame, from Barinas to Apure. Oh yes, Maduro is popular among the 17% of the population that thinks of itself as Chavista. But the rest? They are looking for a leader and the prize is there to be taken. And what I mean by “something” is some form of Chavista cabal deciding to ask Maduro to step aside, get sick, move away and let someone save Chavismo. The “Patria” is another matter, for now, it is only Chavismo that requires to be saved. In fact, doing something like that may be exactly what Chavismo needs to spice up the Parliamentary elections. Otherwise, they act, but the elections get postponed in the name of stability and peace. What evidence do I have for this? The fact that a General was removed for killing some leaders of the “Colectivos”a few months ago, but these days the Government regularly carries out “Peace campaigns” in which 20 or 30 members of the Colectivos are simply killed by police or military. Or the fact that military officers resent some of the recent promotions to Generals for the new (BoliGenerals 2.0) even richer Government officials, which have stepped down to enjoy their riches while controlling the purses of their former positions. And you may ask: Why hasn’t something happened yet? Easy, no single group within the military feels they have control or they will be backed in their actions…yet. So, they wait in the shadows ready to save the revolutionaries, if not the revolution. And perhaps the biggest signal of how bad things are, is that that the payroll in many companies is a couple of thousand dollars a month for many small and medium sized companies. Why close then if you are losing money? Wait it out, keep your employees fed and hope for the best. It is only ten grand a year and the reward could be big. And that is why on the thirteenth anniversary of this blog I can stick my head out and suggest that there is some light at the end of the tunnel before the end of 2015, even if that light is still looks very red to me. The pace of change is just too fast. And if I am allowed to extrapolate even further after thirteen years, those that may force the change may find out that their own actions may accelerate change in a direction different than the one where they want to go. You see, if people think there is going to be change, they will probably ask for more than those forcing the change may be thinking of.